Below is a list of 5 types of trees and shrubs that make great options when you are wanting to set up a hedge in your yard. These plants have also been chosen by their durability with winter planting. Keep reading and see which hedge/hedges are best for your designs! The Hopseed bush is a great addition for any Arizona yard. While it may not be what you think of when you are considering a plant for hedge material, it does the job perfectly. It also adds some unique texture and different look to your yard than a traditional hedge. At Moon Valley Nurseries, we offer both the Green Hopseed and the Purple Hopseed bush, which gives you different options depending on your landscaping needs. Both the Green and Purple Hopseed are quite similar except for one difference that you have probably already noticed – They are different colors. When creating a privacy hedge, both Hopseed varieties will add a unique wall of color that contrasts well with surrounding foliage or when planted together. These fast-growing shrubs grow upright, which makes them easy to install in almost any location. The Carolina Cherry has become a popular attractive tree for many homeowners in our desert region. The Carolina Cherry has a natural upright cone-like shape and its malleability to being trimmed makes it a great plant for hedges, short or tall. This tree can be pruned into other shapes as well and can handle topiary pruning. It is drought and heat tolerant, and requires minimal watering once established. Its foliage is dark green, and it blooms small, creamy white flowers in the spring. The dense foliage and tall growth potential makes it perfect to block out everything from harsh weather and neighbors that are just too close. They can be easily sheared into a tall screen or sound barrier which make them a near-perfect option for many homes. A hedge of Oleanders will surely create an exciting view for you and your neighbors. 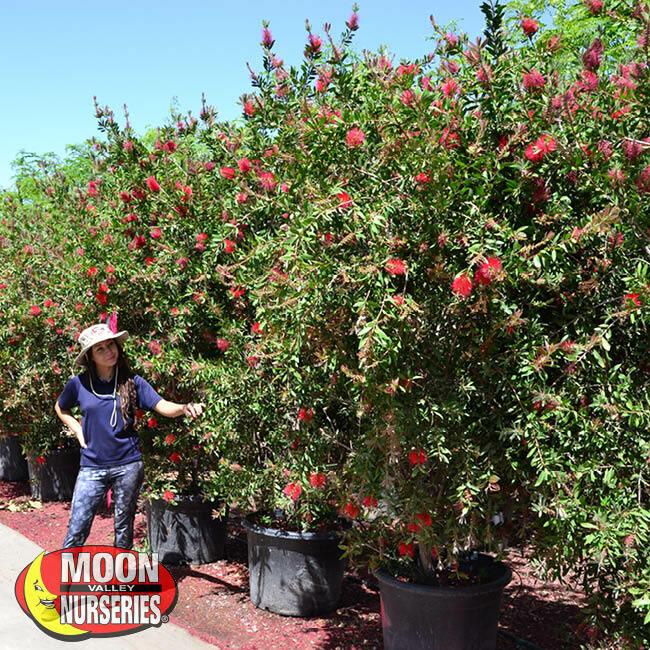 They grow great in Arizona and can grow anywhere from as short as 3 feet to as tall as 20 feet, depending on which variety you plant and what type of hedge you want for your yard. Oleanders are extremely tough and can recover from almost anything the elements throw at them. These shrubs love the hot summer months, which makes them an ideal flowering option for your Arizona landscape. The Oleander shrub displays a long-lasting bloom that comes in clumps of red, white, and pink. The blooms are lively and can extend into the cooler winter months. 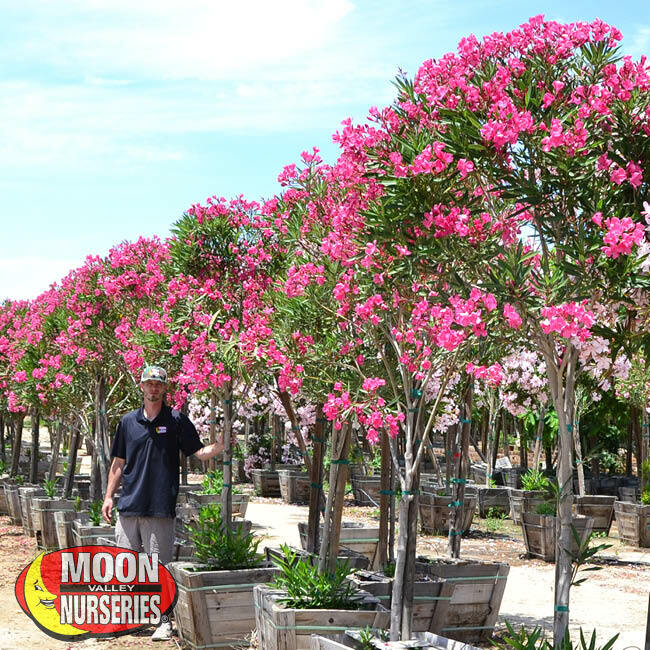 Preferably planted in groups or rows, the Oleander is a great tree for homeowners who are seeking privacy hedges, area screens, and property borders because of the trees ability to grow and maintain a thick coat of dark green leaves throughout the year. It is easy to see why Lemon Bottle Brush plants are often used as hedges throughout the Valley. With our natural landscape being mountain and desert color shades, the pop of red that comes from this plant makes any yard more interesting! They can bloom showy bottlebrush-like flower spikes that will paint a landscape with colors of bright red from the flowers and dark green from the foliage. The Bottlebrush not only adds a splash of color to our desert environment, they attract hummingbirds and butterflies, too. 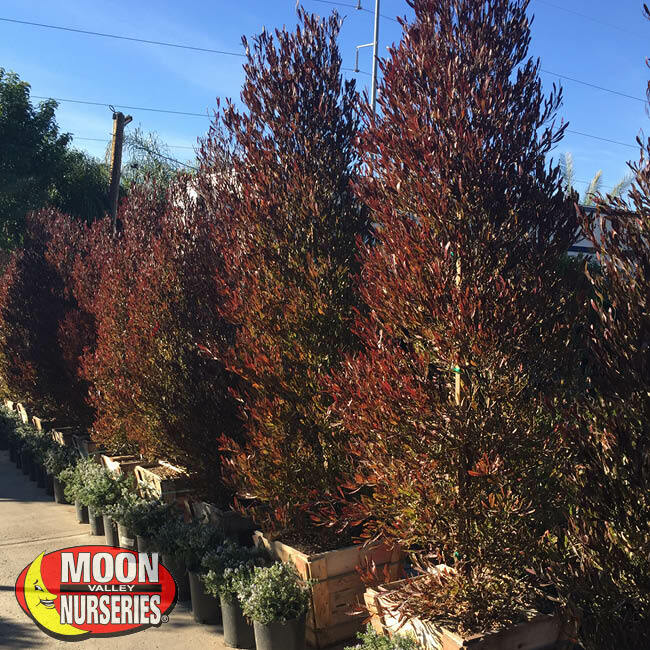 These evergreen shrubs are a great way to create a colorful privacy screen when several are lined up along a property border. A great hedge design idea for the Bottlebrush shrub is to create small hedges around a backyard garden or a focal point in the front yard. The Bottlebrush blooms in spring with some off-season blooms in the fall. 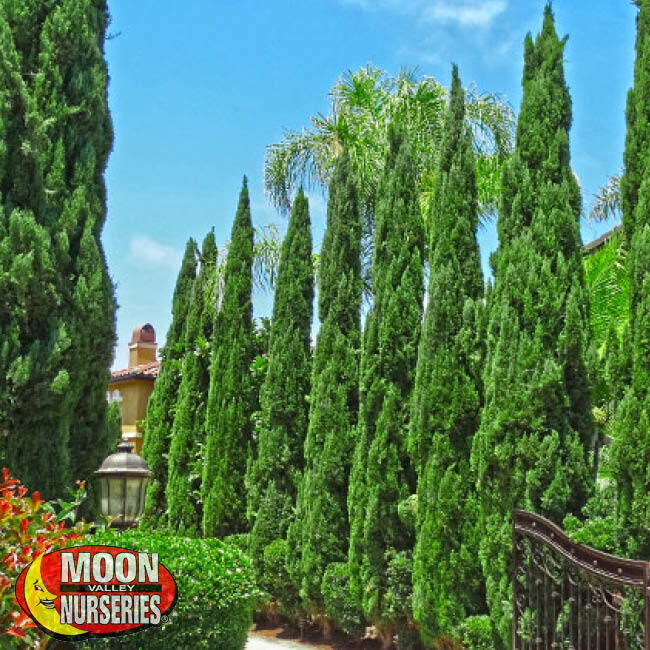 Native to the Mediterranean area, the Italian Cypress is well-known and often found in hedge form announcing formal entrances, borders and backdrops for impressive properties all over the world. Unmistakable with their lush green foliage and tall, narrow upright form, these long-living specimens of magnificence are well suited for modern living and vintage Mediterranean design styles. Their natural ability to thrive in sunny climates on a minimal amount of water makes them a popular choice for just about any landscape. We recommend these often for two-story homes as they grow tall and can block views from other homes nearby and give you a more relaxing view from your property. Not only do we have the best trees on Earth, we can deliver them to your home and plant them for you too. 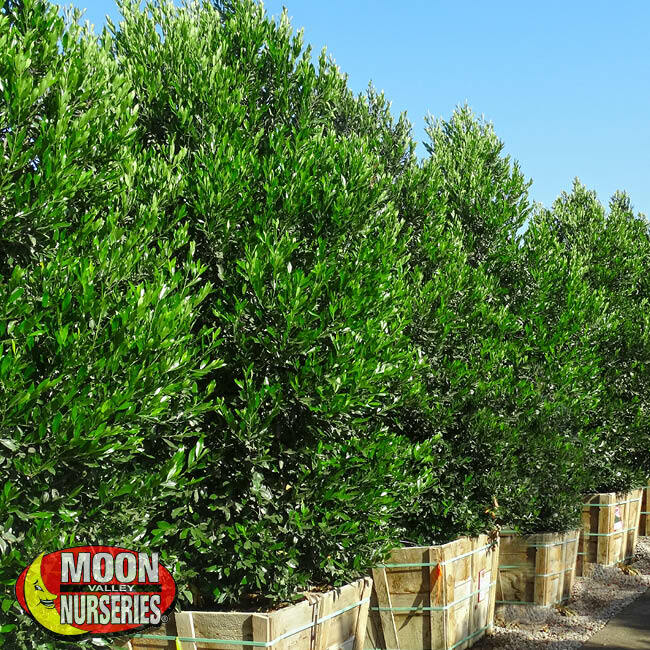 We offer every service that you might need when designing a new yard or redesigning an existing landscape, whether its 2 trees or 200, Moon Valley Nurseries has you covered! Make sure to ask us about free planting when you stop by your nearest location.